SAN FRANCISCO -- The quest for control of the mapping company Nokia Here is shaping up as a fight between two visions for the future of the automobile: one in which the carmaking giants of the 20th century continue to dominate and another in which software companies such as Google and Uber grab the wheel. It's also an example of an old-school industry battle for control of the supply base, centered on an expensive bit of technology that just a few companies can provide. Take any car equipped with a dashboard navigation system, and chances are it uses street maps from Here. Known as Navteq before it was bought by Finnish telecommunications company Nokia in 2007, Here has become one of the auto industry's most dominant map suppliers over the last two decades, claiming a commanding lead over archrival TomTom in the U.S. and Europe. So it was a wake-up call on April 15, when Nokia said it was putting Here up for sale, raising the possibility that a well-funded Silicon Valley technology company such as Apple or Uber could buy the mapmaker and, with its critical assets in hand, steer the course of the car business. Sophisticated maps are crucial not only for navigation systems but also for self-driving cars that require a more thorough understanding of their surroundings. They also provide the underpinnings of a growing number of auto-related smartphone and telematics applications, such as roadside assistance, traffic alerts and concierge services. Besides Google, no one has moved to serve the need for advanced maps as aggressively as Here, which has deployed 200 vehicles to build 3-D street maps in 30 countries on six continents. That's a lot of capability in the hands of a single supplier. And whoever wins control of Here would be in a much stronger position to chart the course of the automobile without having to depend on Google, which has its own designs for the industry's future. A group of German car companies led by Audi, BMW and Daimler AG has swooped in with an offer to buy Here for more than $2 billion, according to multiple news reports. Uber, the smartphone-dispatched taxi service, has reportedly offered as much as $3 billion. Others may be quietly preparing bids of their own. "The question is whether you want to put a map that's going to control those things in the hands of a company with an interest in disrupting the industry, like a Google or an Uber," said Mark Boyadjis, a senior analyst at the consulting firm IHS. "That's why there's a compelling argument -- I won't say whether I believe it or not -- for automakers to develop a coalition and invest in [Here] that way." Car companies try to avoid becoming reliant on one or two suppliers, but when it comes to maps, there are few alternatives. 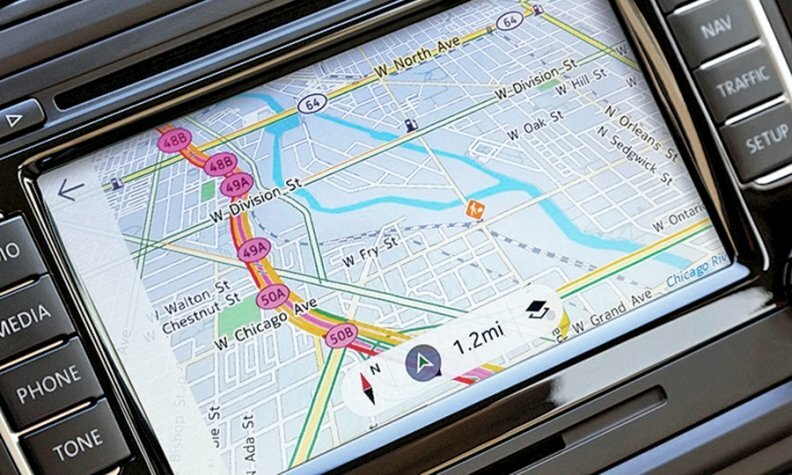 The only company besides Here and TomTom well-positioned to deliver cutting-edge maps is Google, and automakers have shied away from it in favor of more familiar suppliers, said Marc Prioleau, managing director of Silicon Valley-based Prioleau Advisors. "It's a real, fundamental asset that's very hard to replicate," said Prioleau, who formerly worked at the mapping startup deCarta, now owned by Uber. "And it doesn't just take money -- it takes a lot of time. You can't just say, I'm going to build a digital map of the world, and be there in a year. It takes years." Another emerging option is OpenStreetMap, an open-source database back-ed by navigation specialists such as Telenav and Garmin. "I think TomTom may end up being the big winner out of all this," Prioleau said. "And people might consider OpenStreetMap more seriously," he added. "If all of a sudden map data becomes a competitive advantage, one way to mitigate it is to invest in an open-source alternative." Nokia hasn't commented on the rumored bids for Here, and neither have the companies that reportedly placed them. Yet the mapping company has signaled that it sees significant upside as a traditional supplier. Built-in navigation systems have become more common over the last two decades, but still just 25 percent of cars are sold with them, Nokia says. "In other words," said Christopher Lawton, a Germany-based spokesman for Here, "we have a significant slice of what is a growing market."